Editor’s Note – A new kind of CSA in Oregon is bringing aquaponics to its subscription program. Perhaps a unique business idea for an adventurous yardfarmer? This article was originally posted on Seedstock and written by AJ Hughes. Powered by fish effluent instead of soil, the aquaponics enabled CSA run by Oregon-based Möbius Microfarms‘ is not your run of the mill subscription program. 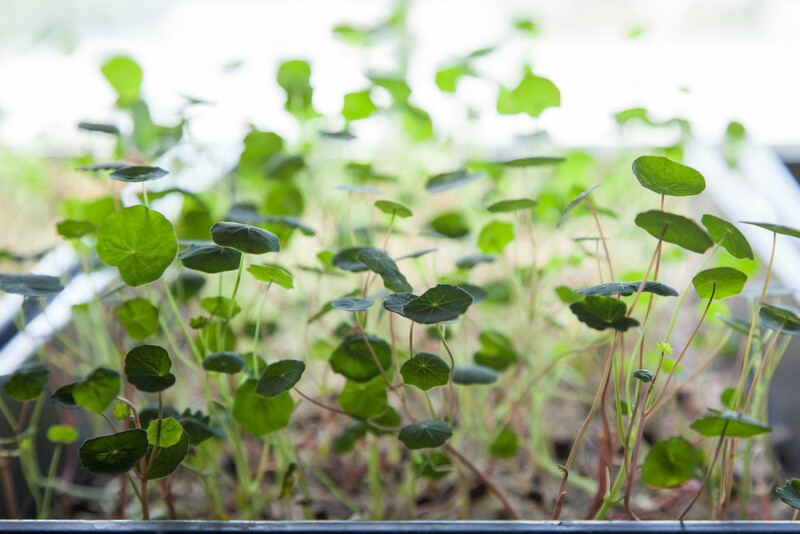 You get your basil, arugula and/or a mix of spicy salad greens, but in a unique twist subscribers to the CSA also receive trays of live microgreens, which they can snip off to eat when it suits them. 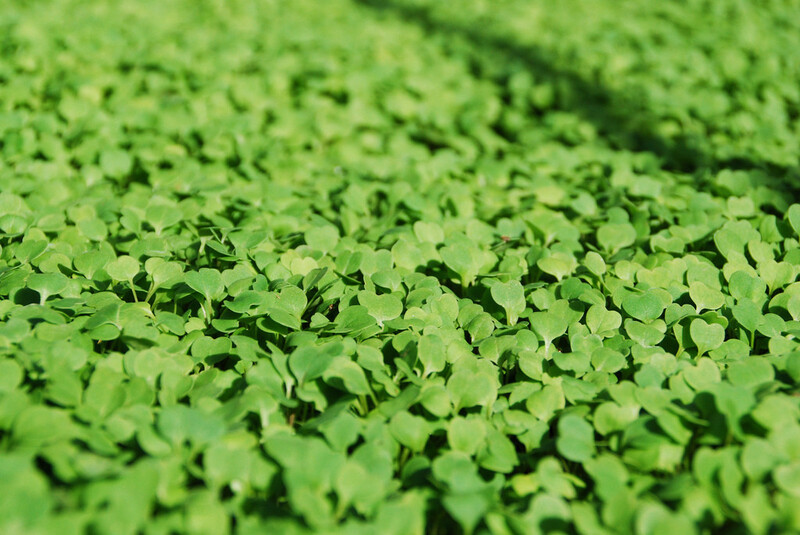 Möbius sells its microgreens live to avoid nutrient loss, spoilage, and waste. Founded by Anne Phillip, Möbius started out by installing aquaponics systems in restaurants. The business is named after the Möbius strip, a three-dimensional shape consisting of one continuous plane. An aquaponics system has one continuous loop—water rich with fish waste feeds plants, which in turn filters the water to be used again by fish. The CSA program is the latest milestone on Phillip’s aquaponics journey, and is just one facet to her vision of agriculture thriving in cities. “I love research and the whole process,” says Phillip, who has four years under her belt working in aquaponics. After extensive thinking about how aquaculture could become more sustainable, Phillip concluded that she could engage in aquaponics year-round if it happened indoors. Based on this conclusion, Phillip (a Portland State University (PSU) biology alum), along with three PSU mechanical engineering undergraduates, designed and constructed a modular aquaponics system targeted to restaurants. They entered their design in the 2013 PSU-Wells Fargo Cleantech Challenge, and tied for first place, splitting a $25,000 first prize with the contest co-champion. Phillip used the money to start her business, which up until now has centered on selling and leasing small aquaponics units. One benefit of leasing is that Möbius takes care of maintenance. These systems consist of a 20-gallon aquarium containing ornamental fish. They have found homes in Portland restaurants such as Pure Simple Juice and Tabla Mediterranean Bistro. The CSA relies on a commercial-scale aquaponics system, replete with catfish and tilapia. In addition to implementing a new CSA service, Möbius also recently hired a new director of business development. Andrea Bailey’s background is in sales and marketing, and through her own business, she markets for holistic healthcare practitioners. Phillip’s journey is just starting, however, as she has a mighty vision for how aquaponics can contribute to the growing urban agriculture movement. Eventually, she would like to see Möbius microgreens offered in grocery stores. Möbius started slowly, but it’s so far proven to be profitable and sustainable, and has what Phillip feels is a bright future. Hence, she foresees the need for more new hires at some point. Phillip is spreading the gospel of aquaponics’ role in urban agriculture through public speaking. Earlier in the fall, she was a catalyst speaker at Oregon BEST FEST, a cleantech innovation conference. In July, she was a guest on the Aquaponics for Everyone podcast. In 2016, she will present at the FoodWorx Conference in Portland.